Outlook Express emails are in DBX & Mac Mail emails are in MBOX format, use OE to Mac Mail Converter to import the emails from OE to Mac Mail profile. This tool gives you batch conversion mode option that allows you to import multiple DBX files from Outlook Express to Mac Mail at once. Some of the amazing features OE to Mac Mail tool offers are â€“ its saves emails with embedded attachment files, it keeps the formatting of the mails intact & it also retains the metadata properties of the emails. When it Import emails from OE to Mac Mail, you will not require to have either Outlook Express or Mac Mail install in the machine. 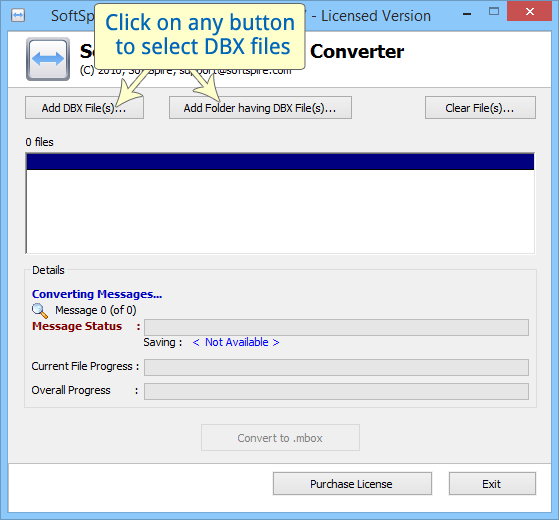 Learn more about the software simple by downloading the DEMO edition of the software thatâ€™s available for free & easily convert first 5 emails from DBX files. Purchase License of the software at 49 USD only.